A beautiful toy box is a necessity for organizing children's bedrooms and playrooms. 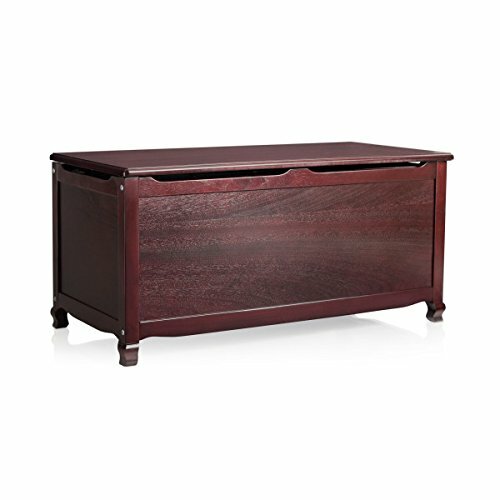 The spacious Manhattan Toy Box is perfect for storing toys, dress-up clothes, games and more. Featuring durable construction with engineered wood sealed with an easy-to-clean laminate surface and protective UV finish. Finger-hole cutouts along the front and sides help prevent pinching and a sturdy safety-lid support is designed with little hands in mind. Personalize it with your child's name and pick from a wide selection of graphics. Available in white, pink and espresso. Adult assembly required.